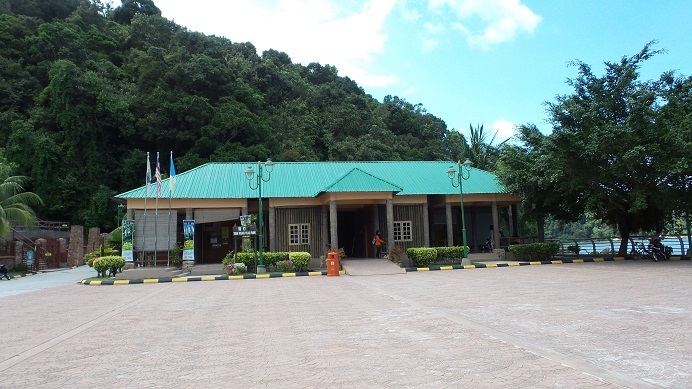 Registration Office in Teluk Bahang. No problems with Affendi! Use: moderate to regular on weekends. If you need a guide, mail to Affendi. He goes with you all the way and will help you! Taman Negara Pulau Penang in the north-west of the island, being the only national park in Penang, is also the smallest national park in Malaysia. Pantai Kerachut is one of the beaches with a turtle hatchery. There is a Registration Office when you get in, that takes visitors names, and also gives advice on the park. You can see a picture of the Registration Office above. There was two main trails, one leads to Muka Head, where the northwest light house is located. The Monkey Beach is also located here and this place is very popular with Japanese Tourist. The second trek leads to Pantai Kerachut, where Pantai Acheh is located and a turtle sanctuary. This beach is less known to the foreigners and solely visited by the locals. There is more than one way to reach Pantai Kerachut. This trail is the shortest route. 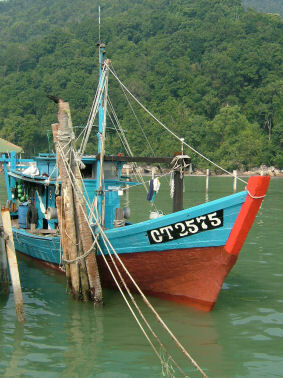 The entry point is near the fishing boats. Here is a Registration Office. You have to register before entering the National Park. Follow the track along the coast until you cross a suspension bridge. There is a signboard showing the trails to the different beaches. Take the path on the left which leads away from the coast. About 20 metres away from the signboard there is a steep flight of steps going uphill. Climb the steps. After about 20 minutes you will reach a junction. Continue straight ahead. 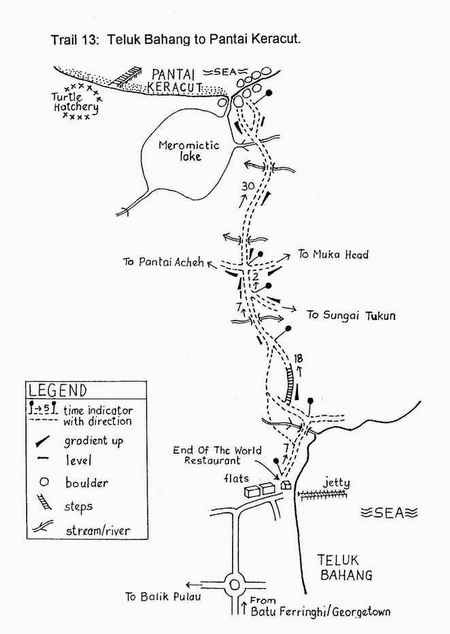 You will cross a stream and pass a track which leads down towards Sungai Tukun. A minute or so later you will be standing at the highest point on this trail. Look out for the rengas tree. If it is raining, do not stand under it. The black poisonous sap will rot your skin. There are many paths leading away from this junction. Take the one that goes directly downhill. If you are observant, you will notice many trees with name tags along the way. You could find the famous eurycoma longifolia. This tree is locally known as tongkat Ali, and is reputed to have aphrodisiac qualities. The last part of the trail makes a steep descent into the Pantai Kerachut valley. Pantai Kerachut is just ahead. You have to wade across a stream to reach the beach. 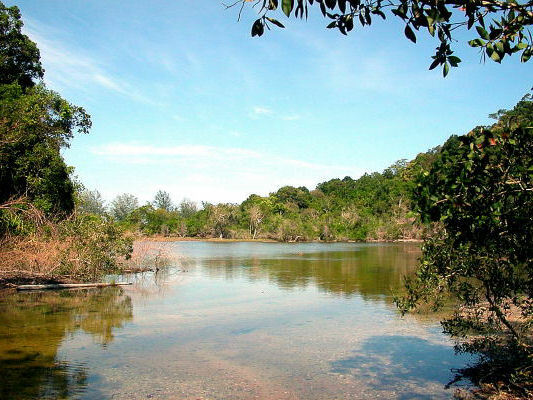 One of the special attractions of Pantai Kerachut is the meromictic lake, visible for only six months of the year. The lake has two layers of water of different temperatures. The bottom layer of sea water is normally warmer than the surface fresh water. The beach is a popular campsite.